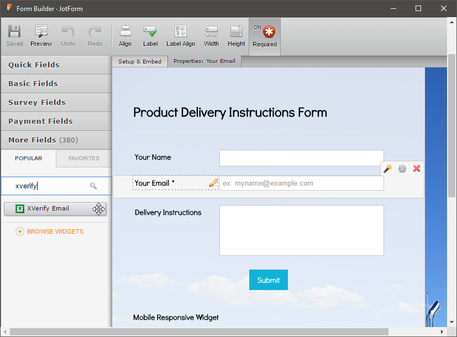 Many form users sometimes enter the wrong email on your form, either by mistake or intentionally. 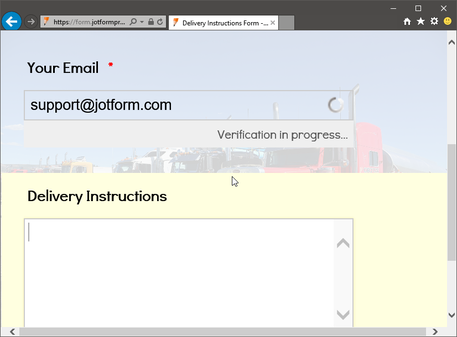 This greatly reduces the value of the information you receive from your form. 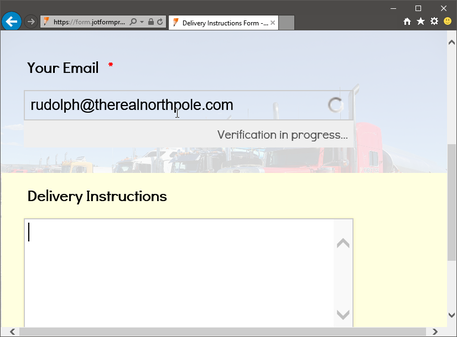 Xverify® email makes sure that does not happen. 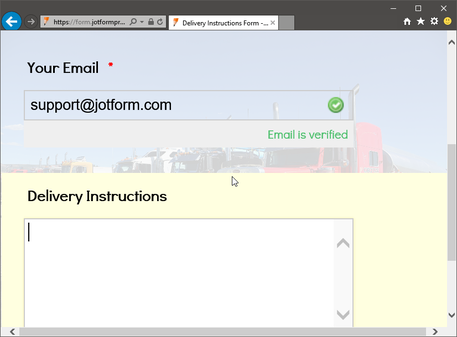 Powered by Xverify®s powerful verification engine, this widget will add an email field on your form which check the validity of the entered email address in a single step. All this happens automatically in the background, and it only takes a second. If the email is not valid or does not exist, your form user will get feedback right away, and will enter a valid email address. 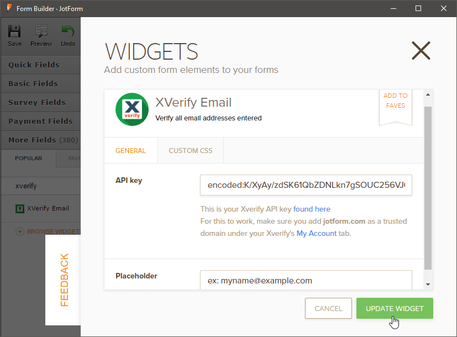 The widget requires that you add jotform.com as an authorized domain, as well as your Xverify® API Key in the widget settings.